Inspection requirements vary by city—get the details about Coeur d'Alene below. 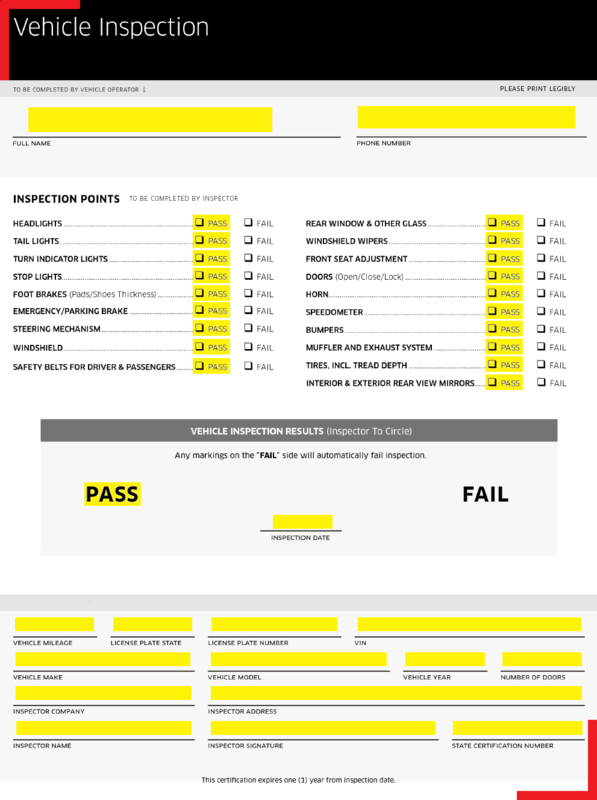 In Coeur d'Alene, all partners must pass a vehicle inspection administered by an Automotive Service Excellence (ASE) certified mechanic before taking their first trip. Most inspection centers have forms available, but you may want to bring one just in case. Schedule an inspection with an ASE certified mechanic. Note that Uber does not cover inspection costs when performed by a third-party mechanic. Once you pass, upload the form and receipt to your account. Uber does not cover repairs or maintenance to pass an inspection.